It is said that a few days before the Mid-Autumn Festival in 1880, a typhoon hit the Tai Hang Village (大坑村) and then a python entered the Hakka village and ate their livestock. The next morning, the python disappeared, but a plague came afterwards and killed a few people. A soothsayer said the python was the son of the Sea Dragon King (海龍王) and it came for revenge. And the only way to stop the disaster was to stage a fire dance for three days and nights during the upcoming Full Moon to scare the Sea Dragon King away. Therefore, Tai Hang villagers built a huge 67-metre dragon of straw and covered it with 72,000 lighting incense sticks. There are also more than 300 drummers and firecrackers dancing with the dragon for three days and nights, and then the chaos was gone. 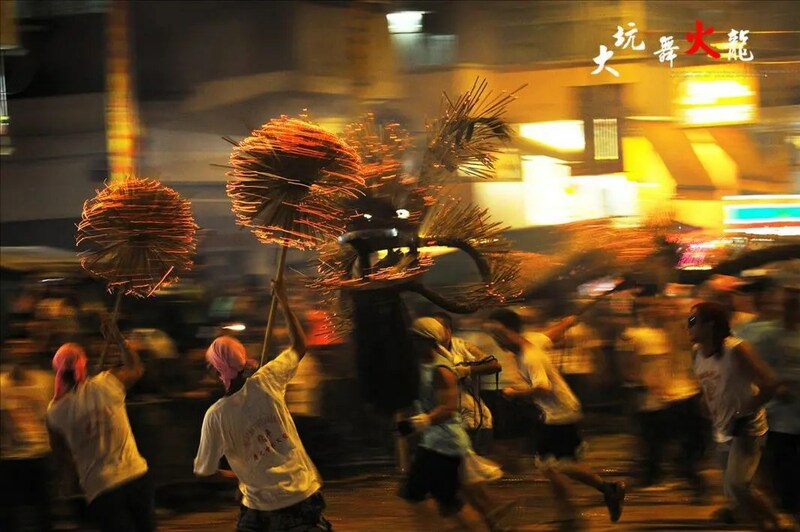 Nowadays, Tai Hang villagers no longer do fishing for a living, but Fire Dragon Dance becomes a ritual for them as well as Hong Kong citizens to cerebrate Chinese Mid-Autumn Festival. Fire Dragon Dance is also listed as one of the National Intangible Cultural Heritages. To get to Tai Hang Village, get off at Tin Hau MTR Station Exit A1, cross King’s Road and turn right. Walk straight to the junction of Causeway Road and Tung Lo Wan Road on the left to enter Tung Lo Wan Road which leads to the Tai Hang area where the Fire Dragon Dance area is. For the exact date and time of the dance, please check the official site of Tai Hang Fire Dragon. You may be also interested in the Bun Scrambling Competition during Cheung Chau Bun Festival at Cheung Chau Island. Check it out. I was looking for information on Cape d’Aguilar and stumbled upon your site. The photos completely blew me away and I really enjoyed your reading about your thoughts on HK, and then on your blog (Road Less Traveled). It’s funny how close we seem on reading – we live in the same district, and studied in the same places! I shared many of your views on the city and thoughts on life. It’s always surprising when that happens, when you explore someone’s thoughts, and find something familiar, yet something new. Looking forward to seeing more of your thoughts.